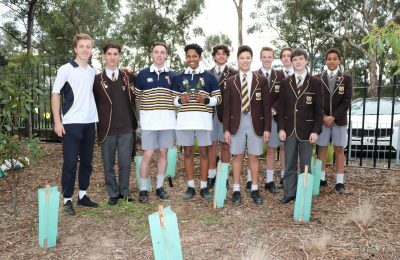 Whitefriars College celebrated National Tree Planting on the 3 August. 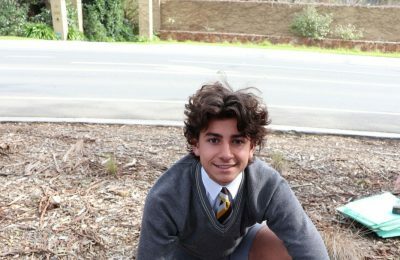 Thank you to Nicholas Smith (Middle School Captain) and Joel Monteiro (Senior School Captain) for organising the leadership group to participate. 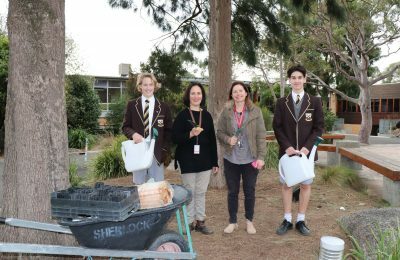 A big thank you to Mrs Ciavarella, Mrs Alexander, Anton Porto (8) and Hamish Harrison (8) for giving up their lunchtime to plant. Poa Lab grasses were planted at the front entrance, sourced from the not-for-profit nursery at Friends of Warrandyte National Park.